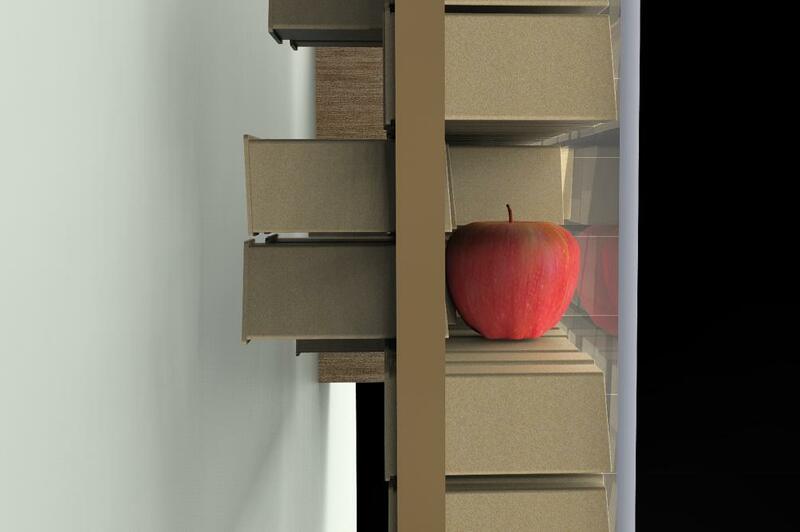 When food is stored in a way that it is invisible when opening the pantry or refrigerator, it is very likely that the food will be forgotten and eventually decays. 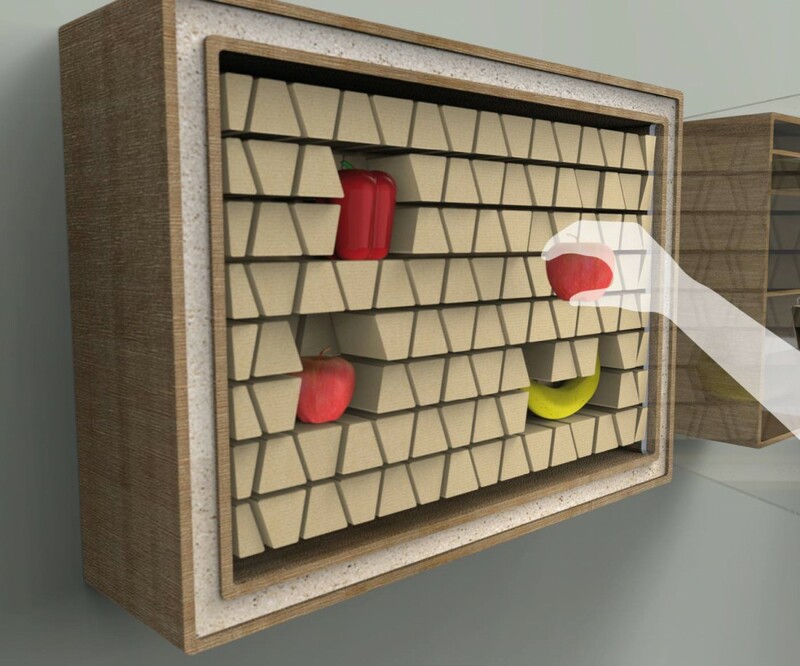 By putting fruit and vegetables on the wall, the user sees the food every time he or she walks by and is constantly remembered of having this healthy food at home. 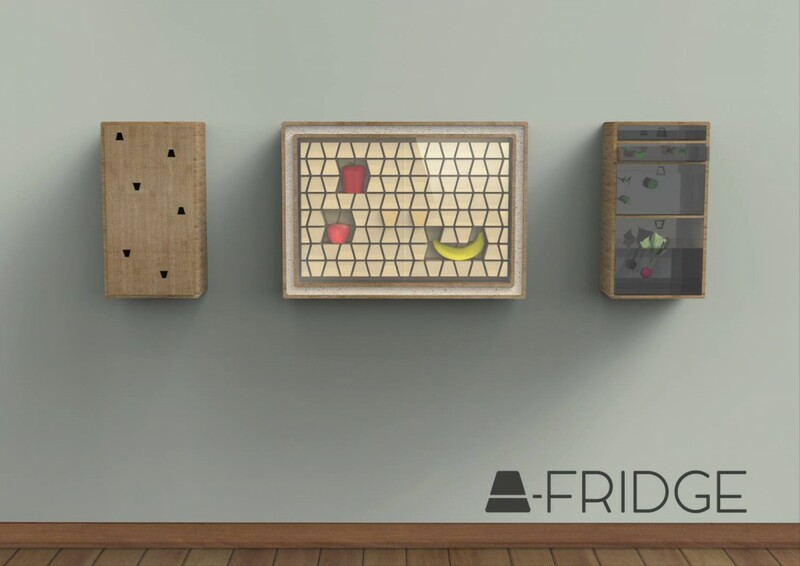 The A-fridge motivates people to eat healthier and waste less food, since the food is not hidden in a pantry, fridge or fruit bowl any longer. Also, the temperature is adjusted to the ideal temperature of fruit and vegetables (5-8°C), so that they can stay fresh for a longer amount of time. The main part consists of blocks that can be moved within the z-axis, supported by a frame. 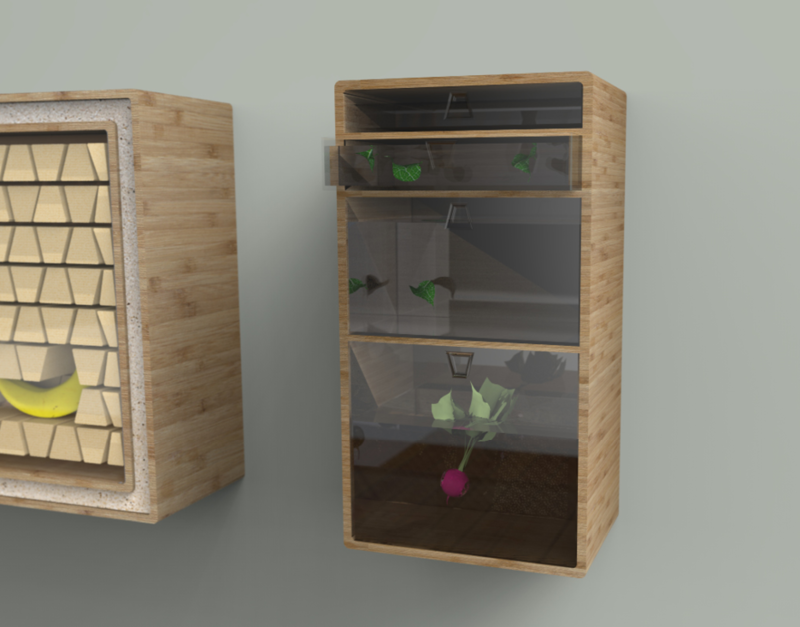 This allows the user to put the fruit and vegetables wherever he or she prefers. 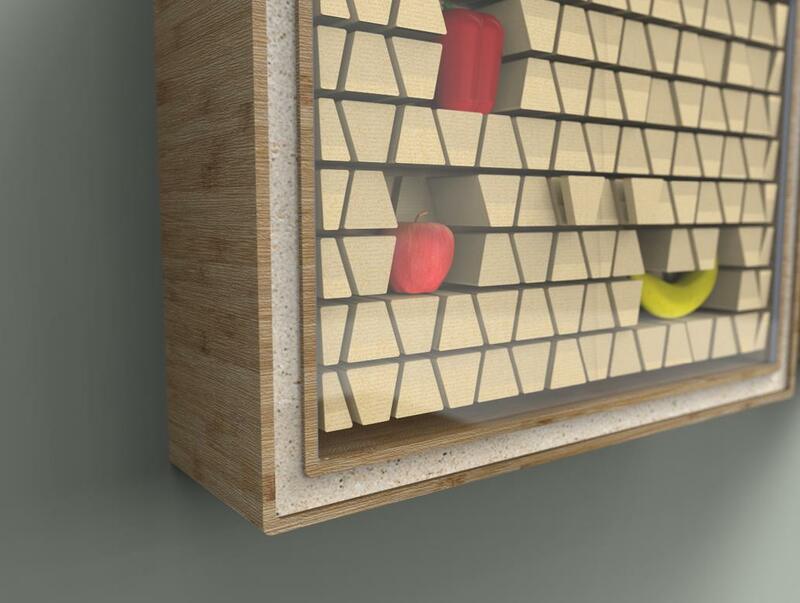 When for instance an apple is placed, the blocks are gently pushed to the back and a space for the apple is created. Potatoes, onions and garlic prefer a dark and dry area and therefore they have a separate storage place. For the project I tested if greens (lettuce varieties) can be stored in water and it turned out that the storage in water had the same shelf life as storing greens in the refrigerator. 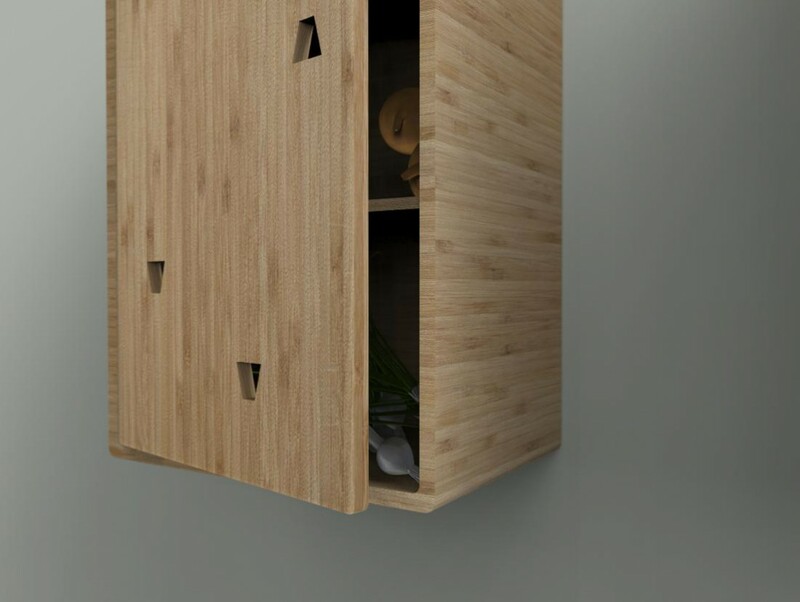 Therefore, the greens are stored in the third compartment where the user can organise the different greens in the drawers.